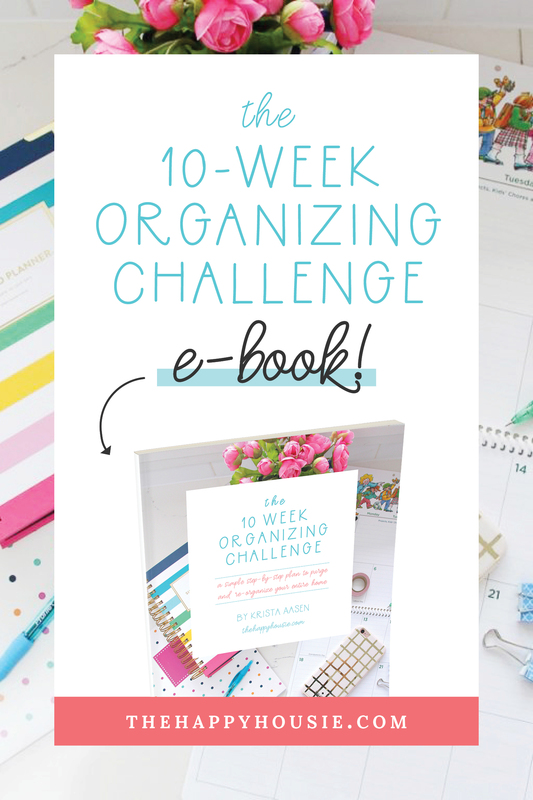 I’m really excited today to have so much progress to share with you! 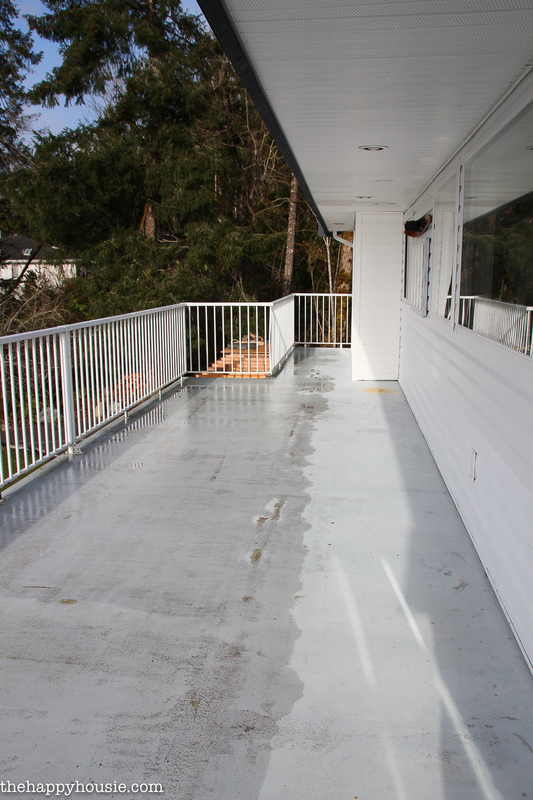 Remember a couple of months ago, when I shared all of our before pictures of our deck and yard? 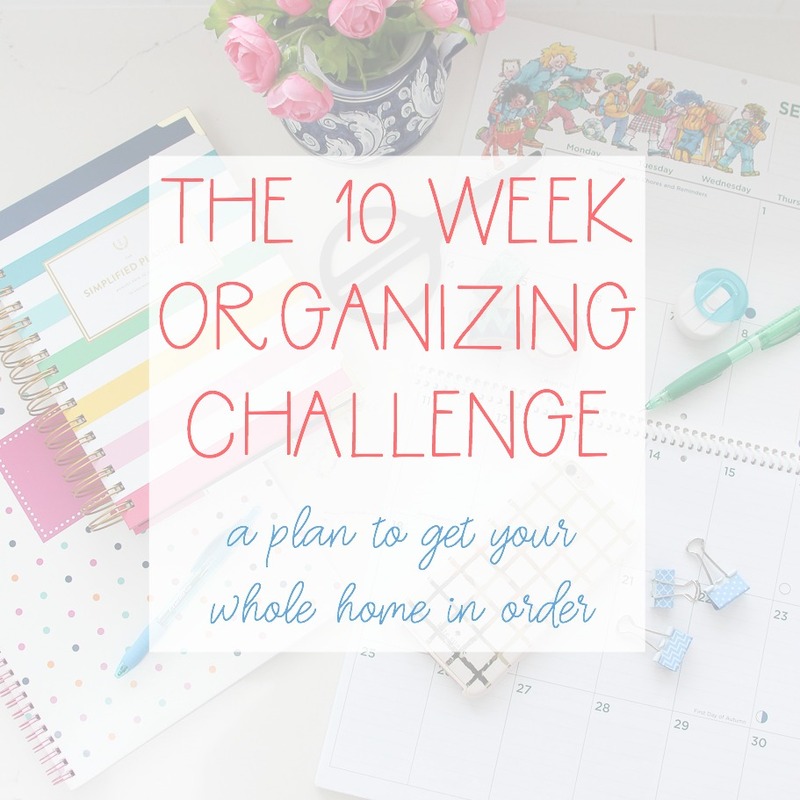 I talk about our plans for the deck, the landscaping, and re-siding the house? Well, it’s happening! 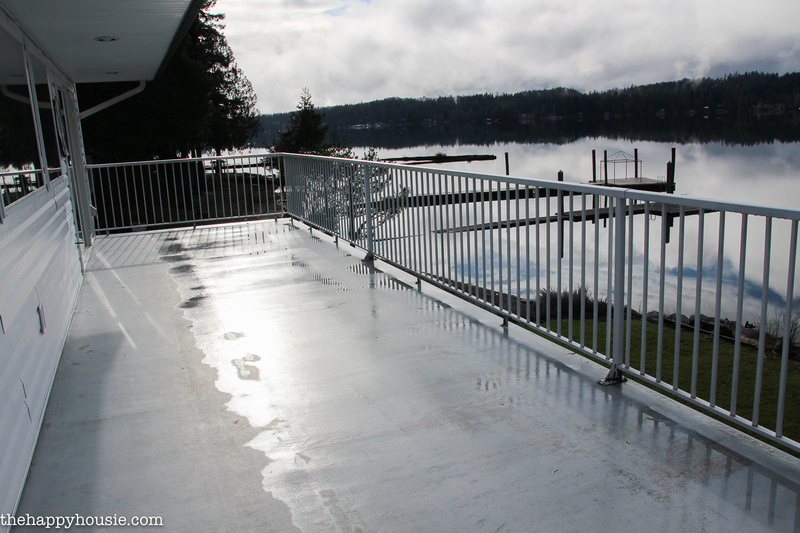 The whole lake side the house is nearly finished – a few little details to wrap up like soffits and filling and painting the trim, a couple more pieces of railing glass… that type of thing. But it’s close enough to being finished that we can finally start enjoying our deck again. 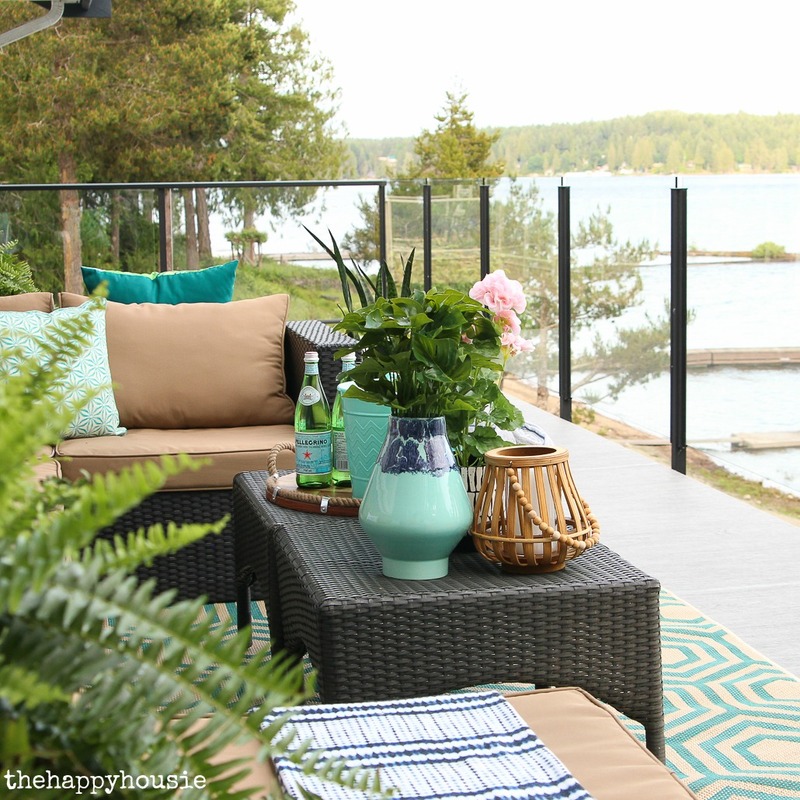 And it’s perfect timing, because all summer long, this area becomes our outdoor living room! 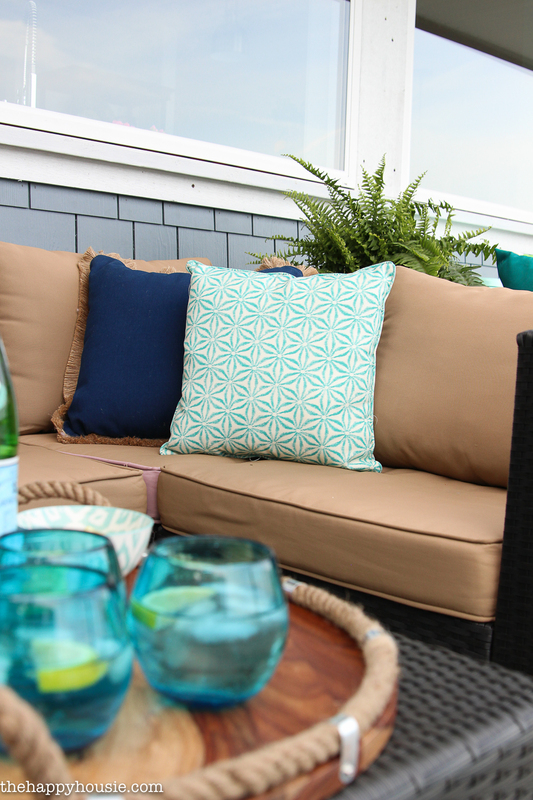 I’m super excited to have picked up some new finds at my local HomeSense to make our deck super cozy and welcoming. 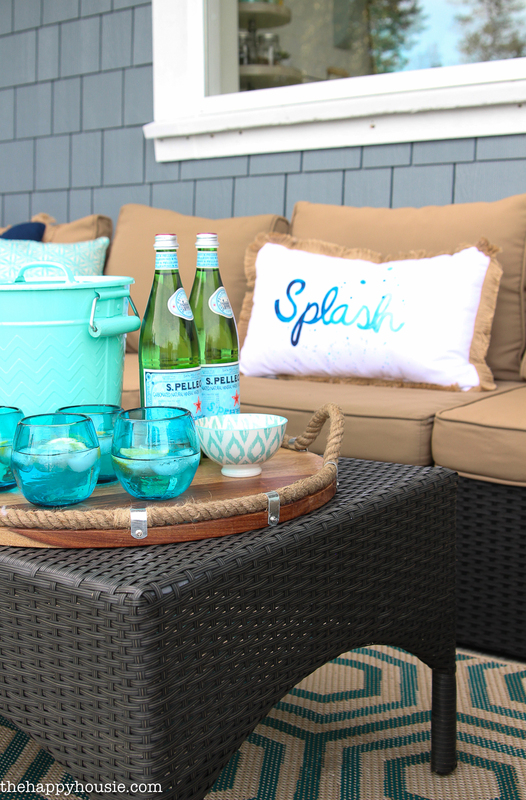 I can’t wait to show you that sweet little mint green cooler in action, soon, once we get our outdoor eating area set up. For now, we are just enjoying some lounging time out here in the evenings. Usually, late in the evenings… after we get home from the baseball park! 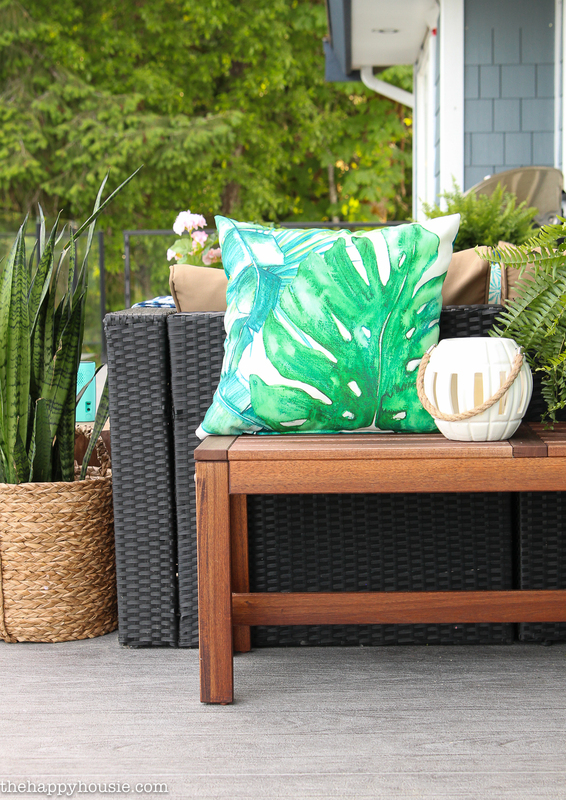 We’ve had all of our deck furniture for a couple of seasons now, but it was fun to give our old pieces a whole new look with some updated and fresh finds from HomeSense. 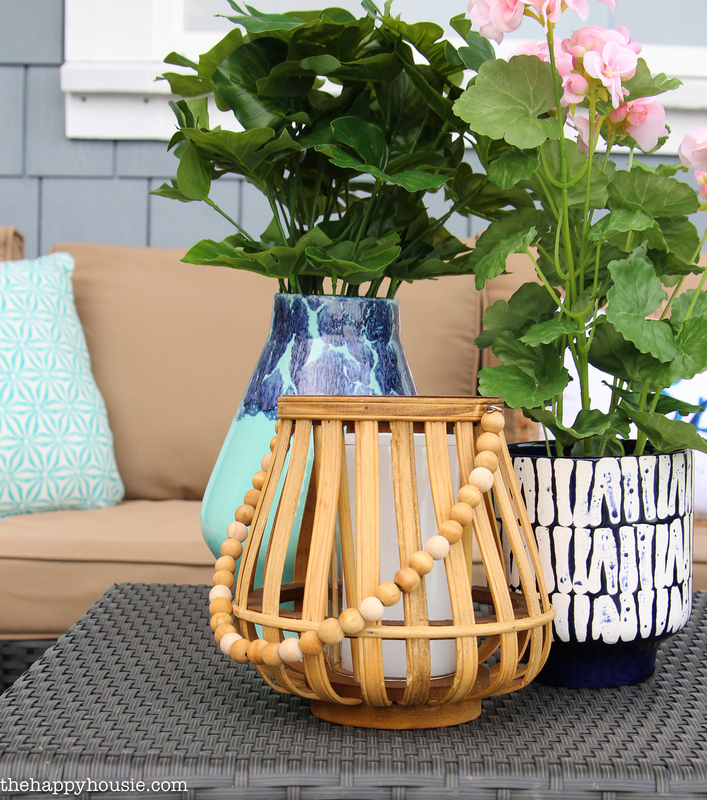 New colourful cushions, lanterns, baskets, and cozy throws along with some pots full greenery add up to give our deck space a true outdoor living room feel. This new graphic leaf print pillow is one of my favourite finds from HomeSense and was a great deal at only $24.99; and there were so many sweet little lanterns that I had trouble narrowing it down! I like to crisp look of this white one; and the rope handle adds a coastal feel. It was a steal at $12.99! That indigo throw is one of my favourite finds; I couldn’t pass it up at only $24.99! 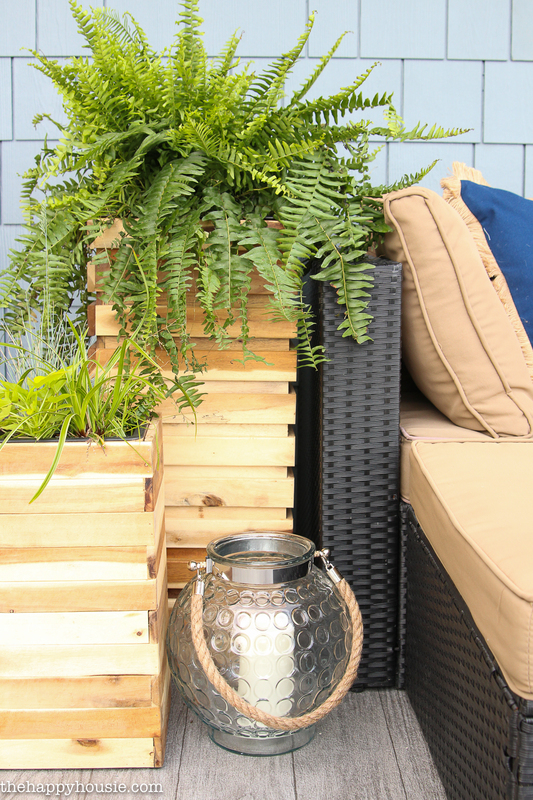 I love how it contrasts with this sweet little outdoor stump side table that I DIYed last spring: check out the tutorial for that here. Remember the days of boombox stereos? And the huge apparatus that went along with bringing your music with you?!? Well, things have sure changed, haven’t they? 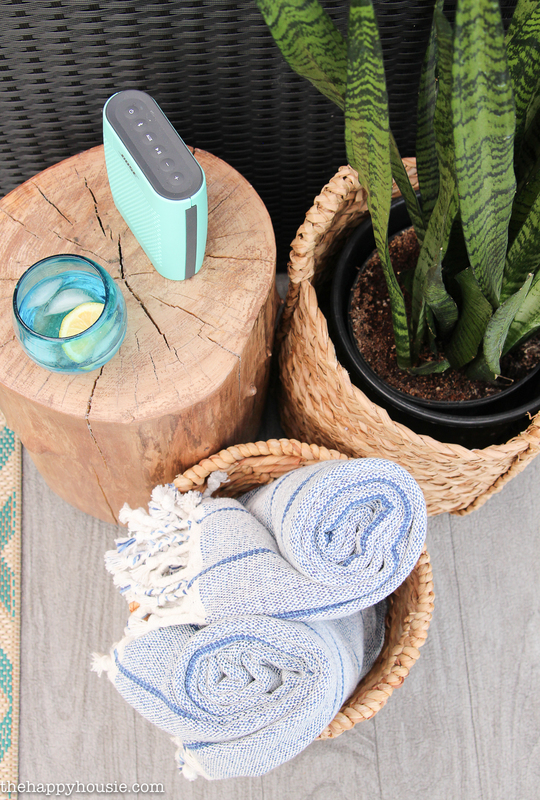 Our little Bose Soundlink speaker is one of my favourite pieces – we bring it everywhere and the sound is crazy-amazing! Can we talk about the new siding for a minute?!? Ignore the fact that we have to fill and paint the trim… the overall look is so different with this Hardie Shingle Siding. I LUUUUUUUUUUUV it! 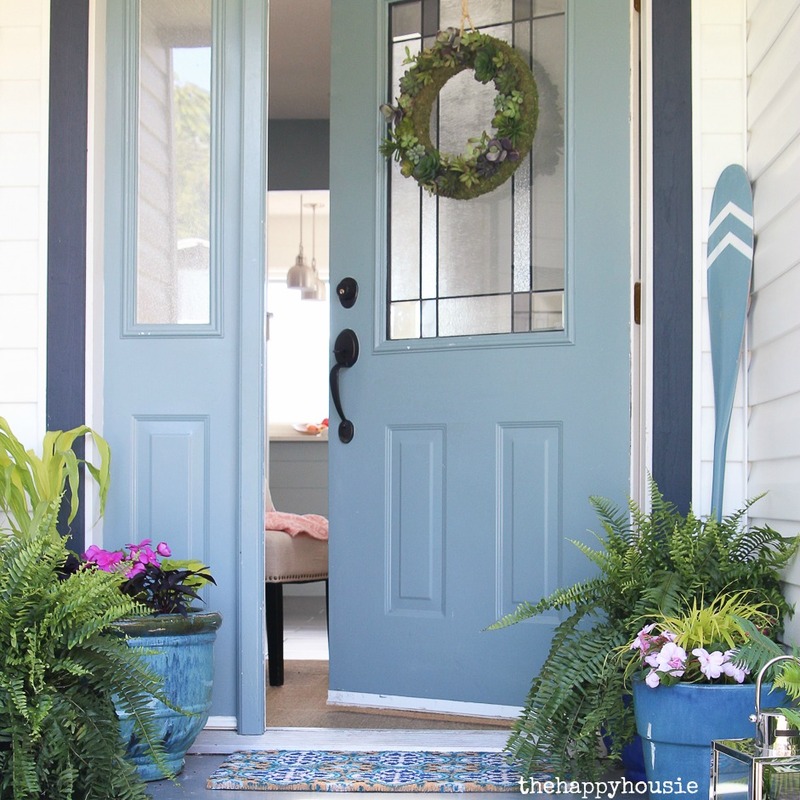 And am so thrilled with our final colour choice: BoothBay Blue. 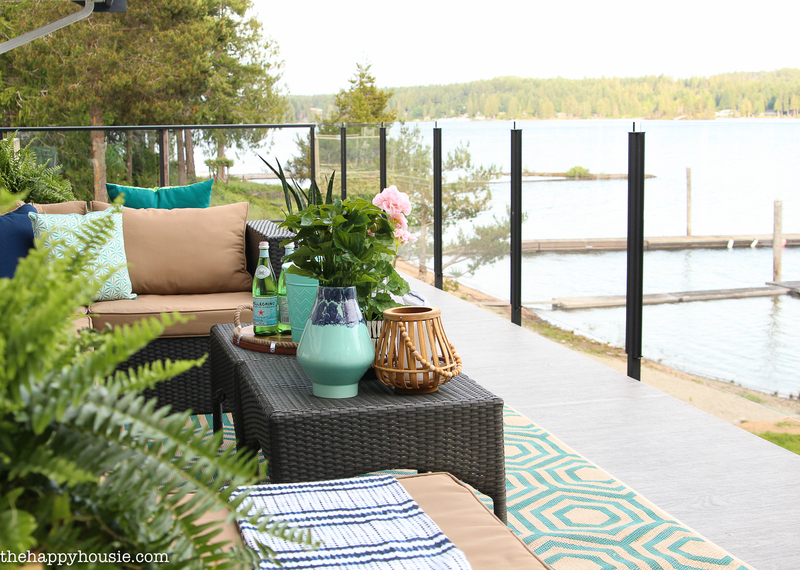 BUUUUUUUT, I think it looks so much better now that I added in a great new indoor/outdoor rug from HomeSense for only $79.99! I love the texture of it – it has a real jute woven feel to it. 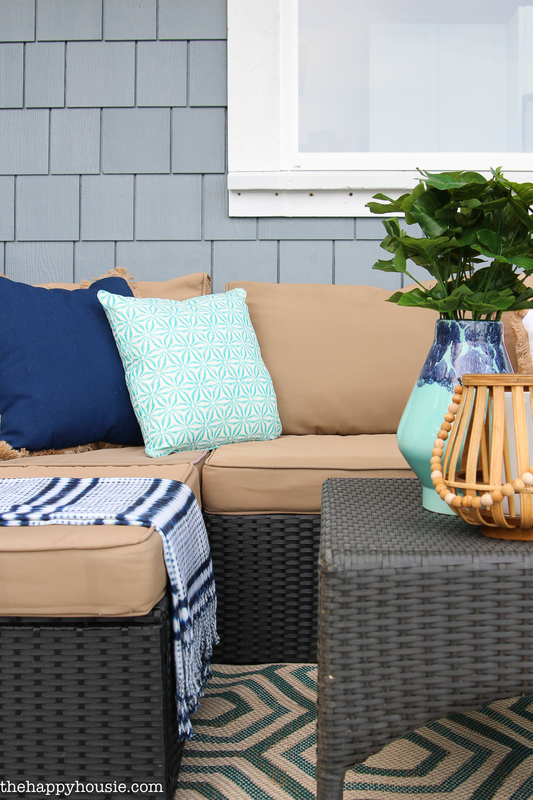 I also love how the fringe on the new navy cushions ties in the colour of the old outdoor cushions that aren’t my fave. I feel like it now it has more of a sandy/beachy feel instead of… well, instead of just brown. 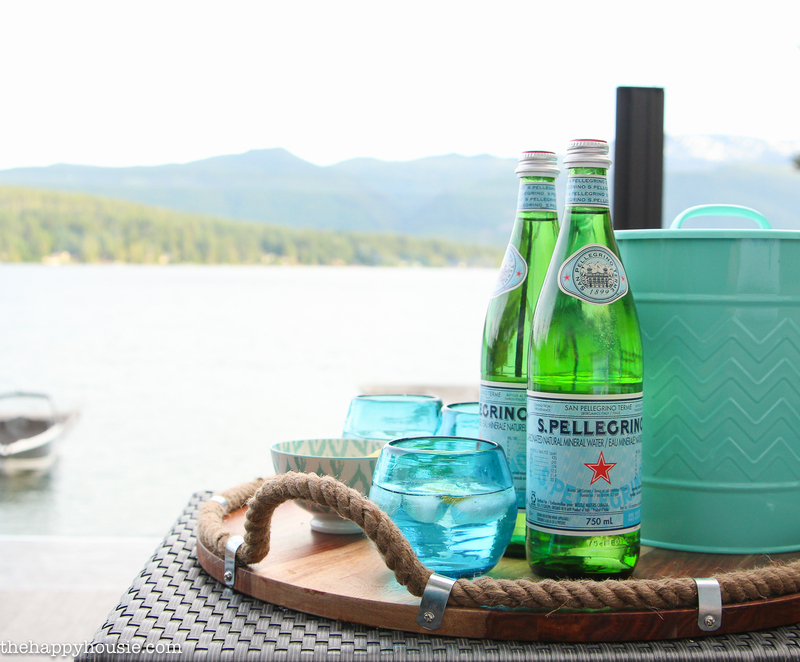 A fantastic, large tray is definitely a must for summer entertaining. I love the simple rustic look of this wooden tray with rope handles. It’s shocking how sturdy it is – the rope is all wired so it’s super strong. It adds a coastal feel and the wood tone works perfectly with our outdoor wooden dining set: coming soon! 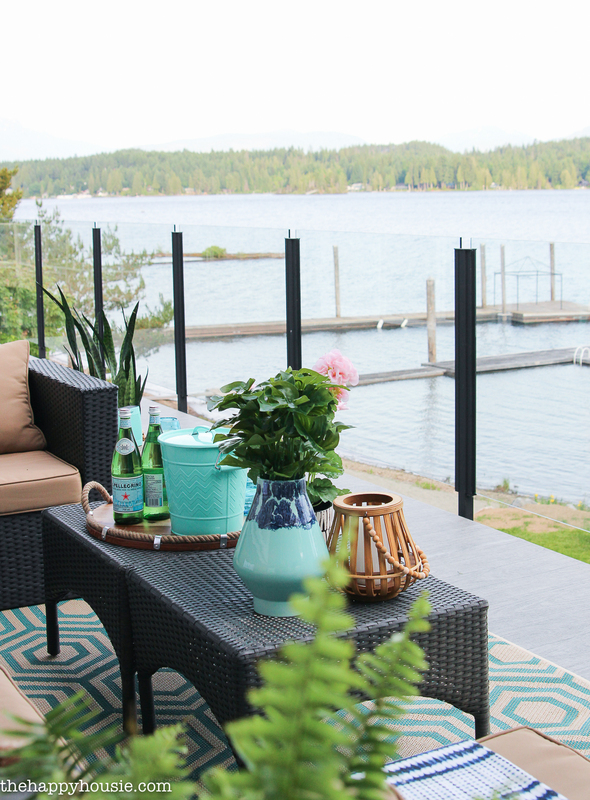 Of course, the best part of our outdoor living room is the view. I love this sweet little wicker/beaded beaded lantern; adding a few lanterns and outdoor LED candles to this space gives a really nice glow in the evenings. Just make sure you don’t leave those LED candles out in the direct sun for a long time! I’ve made that mistake before, and they melt just like a real candle! I also picked up these tall wooden framed plant pots at HomeSense. I wanted to tie all the wood/wicker tones together and these are a great way to bring in some lovely natural texture and warmth. Pretty sure we’ll be using our new cozy outdoor living room a ton this late spring and summer and well into the fall! 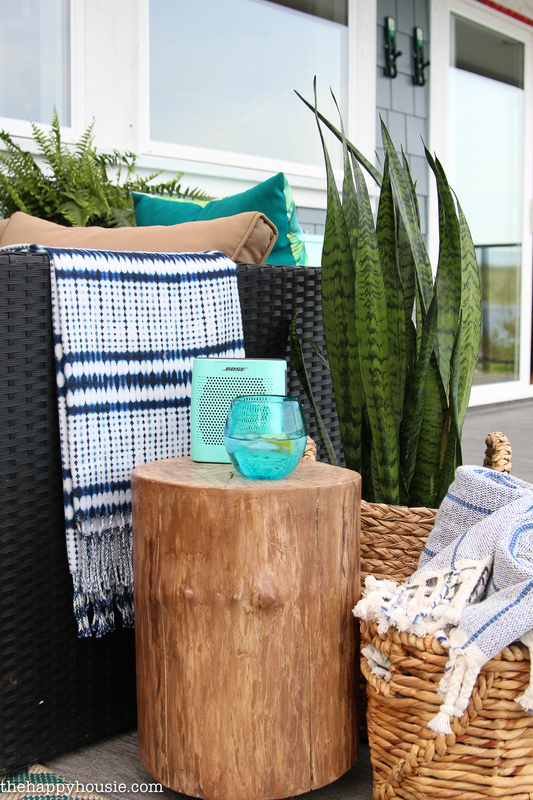 If you’re looking for some beautiful and crazy-affordable finds to add some new life to your outdoor living room this year; check out HomeSense and find the store nearest to you! I’m definitely looking forward to long warm summer days and nights… how about you?!? 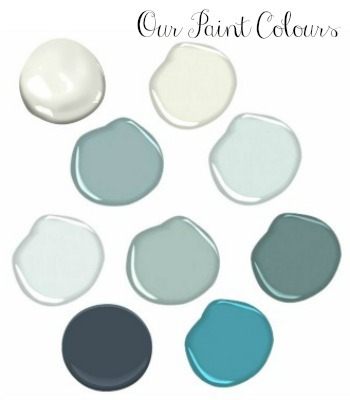 Disclosure: I partnered with HomeSense Canada on this post but all ideas and opinions are 100% my own! OMG, I don’t know where to start! It’s absolutely beautiful! You have such nice taste and the colors and all work so well together. I can’t pick out a favorite and I’m sure you have many. Absolutely stunning and now I want to come visit and sit down and have a visit with you! What a spectacular view! 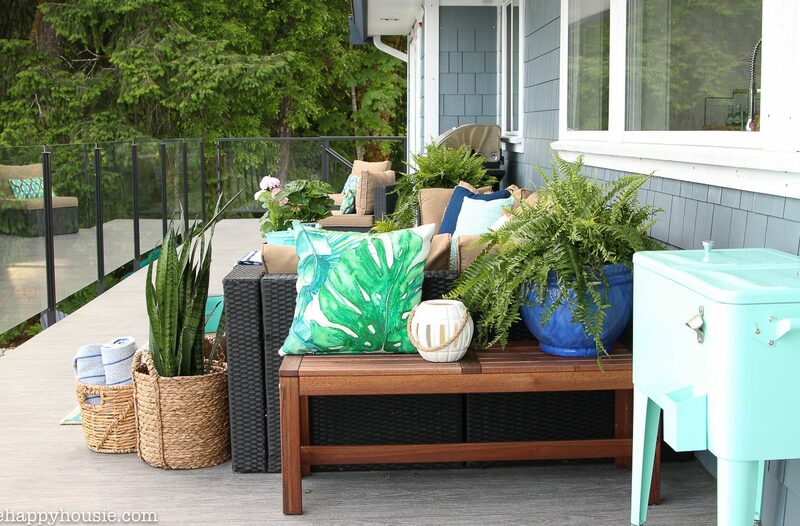 I love how you combined textures and items — the baskets, lanterns, and colorful throw pillows. It’s a great-looking outdoor space. Thank you so much Dianne! I can’t wait for the summery weather to return so we can use it again. We’ve been hit by quite a cool and rainy stretch! 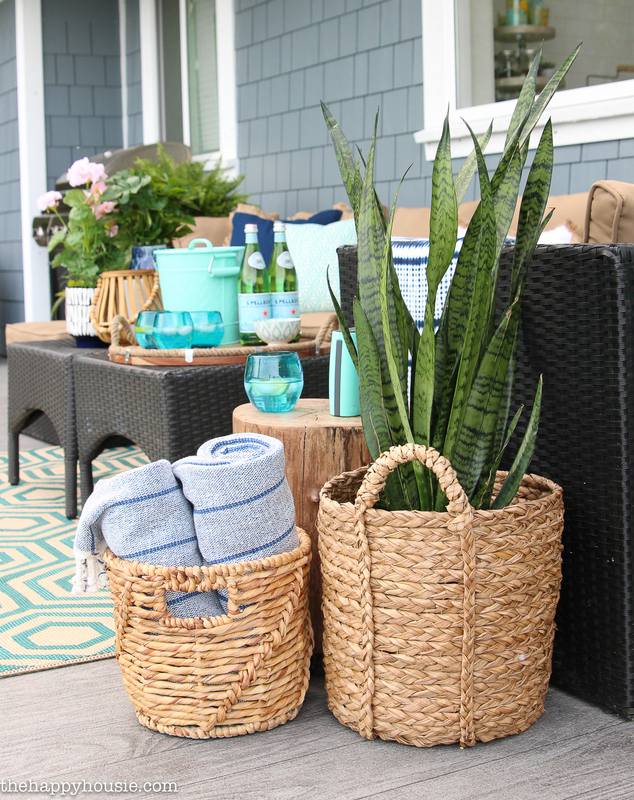 Krista, your porch is amazing! And that view! It’s like being on vacation year round. 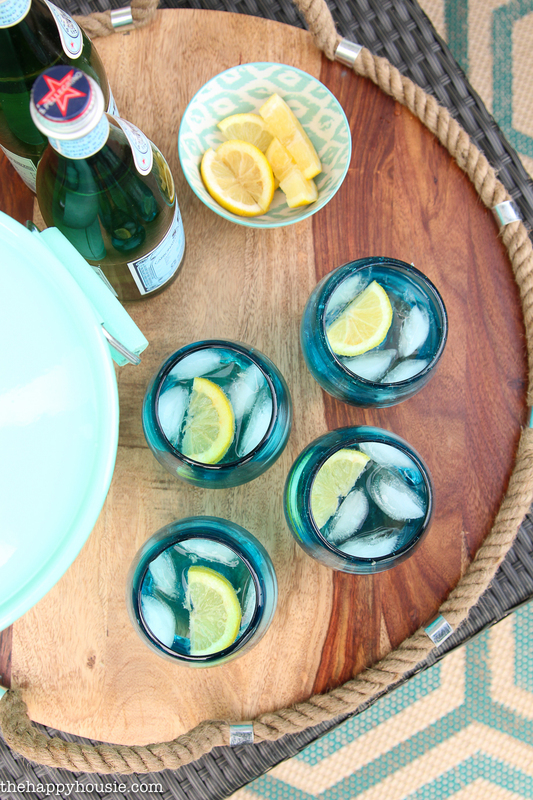 Can you tell me where your pretty clear blue glassware is from, as well as that delightful mint icebox? Hi Donna! Thank you so much:) The aqua glasses are something I’ve had for a few years – they are Mexican glass. 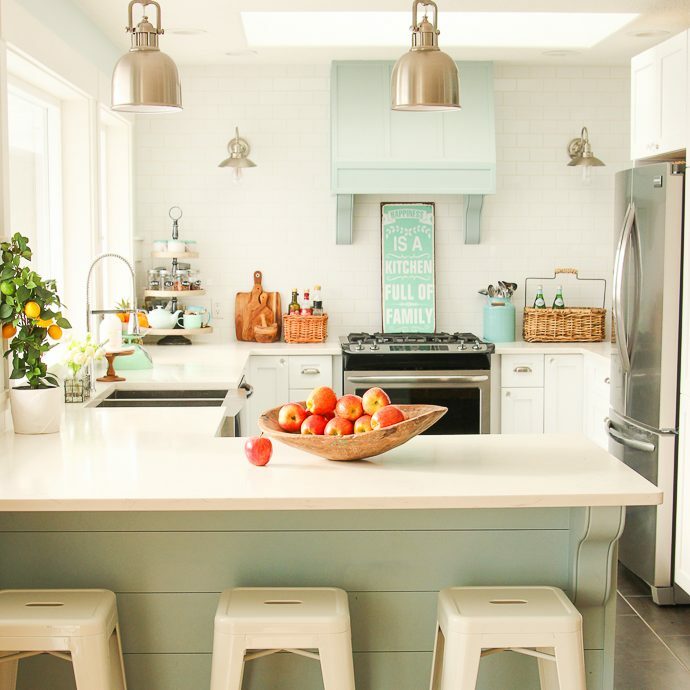 The mint ice bin is from HomeSense! So cute, right?! Aw, thank you JaneEllen! It certainly does feel like we’ve been working really hard the last couple of years. I’m excited to enjoy the summer holidays with my boys – two weeks of school left! 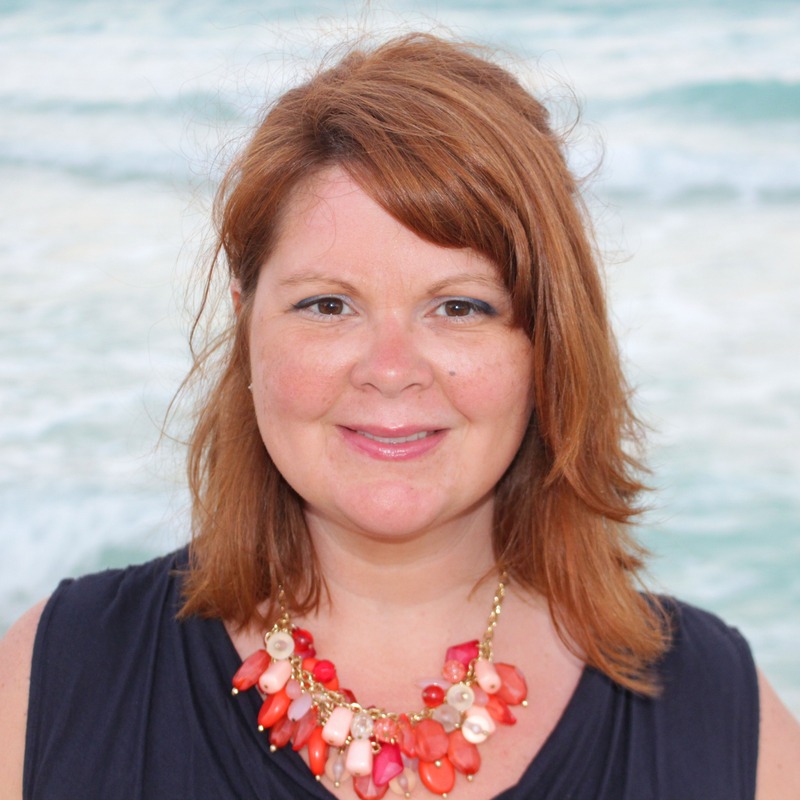 Thanks Jo-Anne! Now I can’t wait for the summer weather to return so that we can use it again! We’ve been hit with cool weather and rain! Ugh! Thank you Cathy! We love it – looking forward to getting tons of use out of it this summer! I come from another hemisphere and we are entering winter but I will now change my patio to an outdoors living room after seeing your wonderful conversion. Thank you for the inspiration. Thank you Nancy! I love it, and can’t wait to enjoy over our summer season…as soon as the warm days return!! 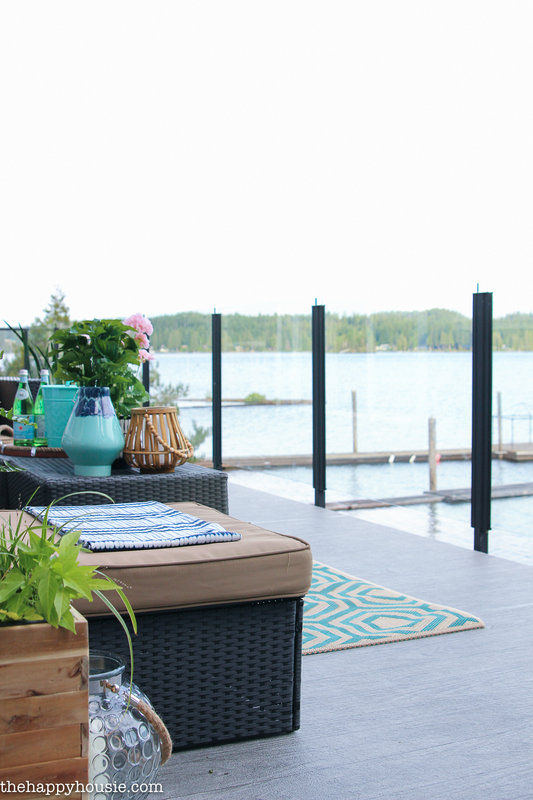 The deck looks great, we start ours next month, and it’s a very similar layout to yours, but on the other side of the country in the 1000 Islands, Upstate NY. Where did you get your furniture? Hi Sue! I bought our outdoor sectional a couple of years ago at the end of the season from a local hardware store. I’m actually a bit disappointed with it. A couple of the pieces have started to break off (the resin has become brittle). And the cushions, not my favourite colour,are a bit annoying. They resist rain well and dry quickly, but the material is super slippery and they slide off the seats a bit too easily. So when looking to buy a set I would try to make sure that the resin seems quite high quality and strong and that the cushions stay put when you sit down!